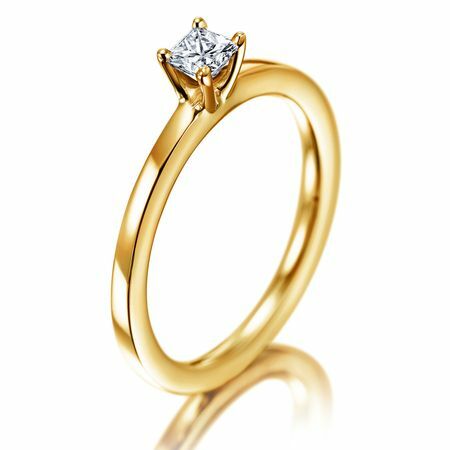 This four-prong engagement ring from Meister is made of 18K yellow gold. 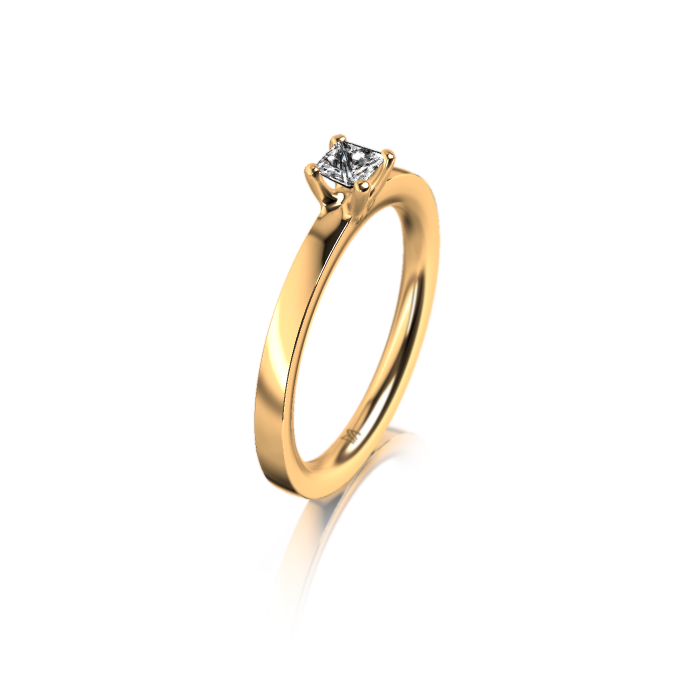 The solitaire has a polished finish and is set with one princess cut diamond, totalling 0.22 carats (G-VVS). The width of the shank is 1.6mm.